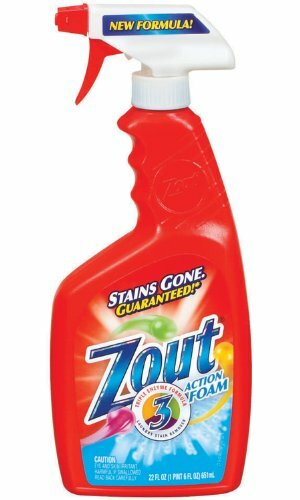 The Dial Zout foam stain remover can be used to treat stains including, but not limited to grass, ground-in dirt, and blood. It also removes food stains such as tomato juice, barbeque sauce, salad dressing, and margarine. Formula is used by saturating the stain with the foam, working the formula into the stained fabric, waiting five minutes, and then washing the fabric.